Electric power has come to drag racers, hill-climb cars, and Formula E racers. Why not rally cars? At least that's Mitsubishi's idea with its new e-Evolution concept that debuted Wednesday at the LA Auto Show. 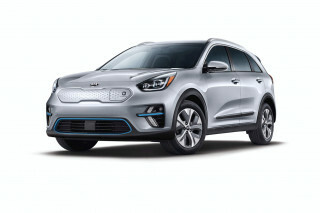 Unlike the winged sedan that took the off-road rally racing world by storm 15 years ago, the new model is an electric SUV. The company hints that it marks a new direction for Mitsubishi, which could indicate the small electric SUV could make it to production. Although Mitsubishi did not provide such basic specs as range or battery size, it says that the car will have a large battery mounted under the floor to give it the low center of gravity and instant cornering reflexes that made the Evo sedan famous. A three-motor all-wheel drive system uses a single motor on the front axle and two motors attached to an active yaw control torque-split device on the rear axle. They feed into Mitsubishi's Super All-Wheel Control system developed for its rally-winning race cars. 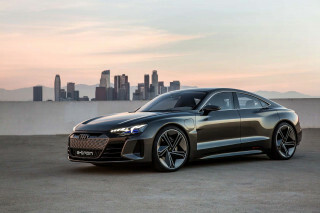 In a new twist, the e-Evolution uses artificial intelligence software to grade drivers' abilities behind the wheel and first adapt to them as well as provide coaching to help drivers enhance their skills. 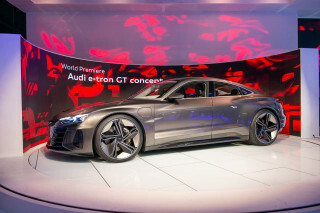 Sort of a super electronic-stability system, the artificial intelligence compares driver inputs with road conditions and vehicle responses and can brake or add torque to individual wheels to reduce or enhance the car's cornering rotation, power, or braking to suit the circumstances. Voice and visual prompts on the dashboard help poorer drivers channel their inner Tommi Mäkinen. 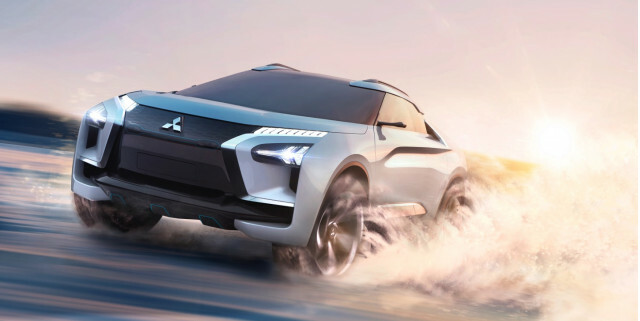 The styling combines Mitsubishi's current "dynamic shield" face with a futuristic, pillarless-looking greenhouse, cooling ducts for brakes and motors in high-performance driving, and all the sensors for the artificial intelligence system. 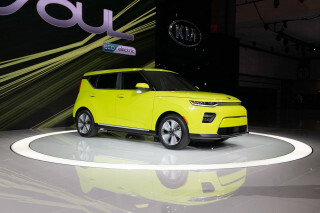 The "grille" hides under glass to emphasize the car's electric power, and the tailgate has a tall, concave center section that Mitsubishi says was inspired by SUVs back when they were actually meant for off-roading. Inside, the Evo sports the requisite 21st Century full-width infotainment screen to display the driver coaching information along with navigation and weather and road conditions. Smaller screens on either side serve as rearview camera monitors. With the e-Evolution, you could throw rooster tails of dirt through the corners with your family and a full load of groceries in the car.